Abuja – The Senior Special Assistant to the President on National Assembly Matters (Senate), Sen. Ita Enang, has assured Nigerians that the Federal Government had not deviated from existing laws against defamation, libel, sedition and other related matters. Enang in a statement by his Media Aide, Mr Essien Inyang on Monday in Abuja, said the directive was only a call for proper enforcement of existing laws to avoid anarchy in the country. According to the statement, Enang made this known while addressing some All Progressive Congress (APC) supporters in Uyo at the weekend. It added that there would have been need to amend the Constitution if government intended a new law. “No new law has been made. The federal government was simply restating the position and content of an existing broadcast code. The statement also dismissed the speculations of a cabal in the Presidency that hindered Vice President Yemi Osinbajo in his duties during the absence of President Muhammadu Buhari. It explained that nobody prevented Osinbajo from exercising full powers of the Office of the President. 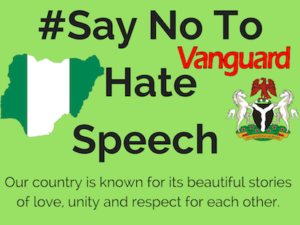 The post Hate speech: FG’s directive in line with existing laws appeared first on Vanguard News.